The project from Alone in the Dark creator Frederick Raynal is finally coming together. 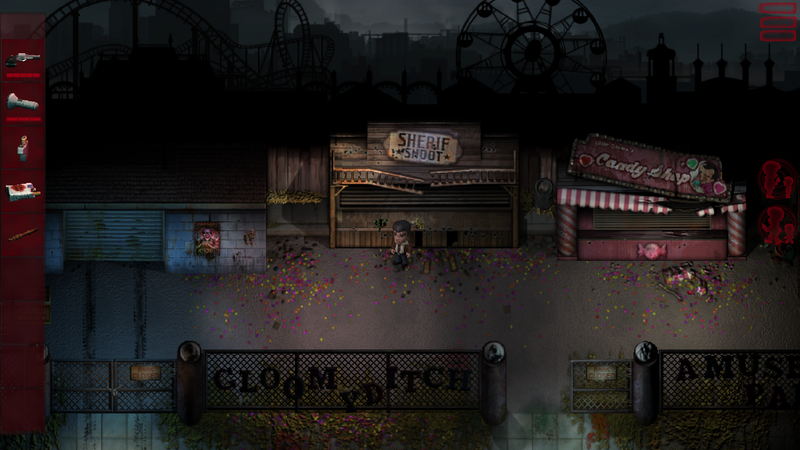 Announced back in 2014 with a Kickstarter, the 2Dark team is aiming for a March 2017 release. That date is quickly approaching, but I’ve already gotten my hands on about two hours worth of the game. Mr. Smith’s tale is certainly a depressing one, but the journey is one I look forward to at launch. For the unfamiliar, 2Dark features Mr. Smith, a man who lost his family to a serial killer years prior. Now, he’s on a mission driven by revenge, and suspects his children may still be alive. As he struggles to catch up to what’s happening in Gloomywood, Mr. Smith saves several other captured children along the way. 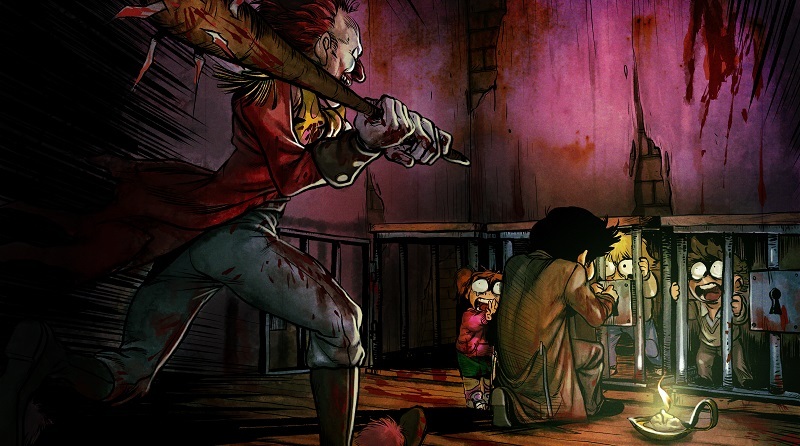 While escorting all of these frightened little ones, our protagonist fights through killer clowns and everything else that goes bump in the dark. The demo I got to play appears to be the very beginning of the game; it included the introduction to Mr. Smith’s tragic life and two levels. 2Dark features small narrative bits between loading screens with some voice acted exposition. However, my favorite parts of the subtle storytelling would be fumbling around for papers, bills, books, photographs, etc. 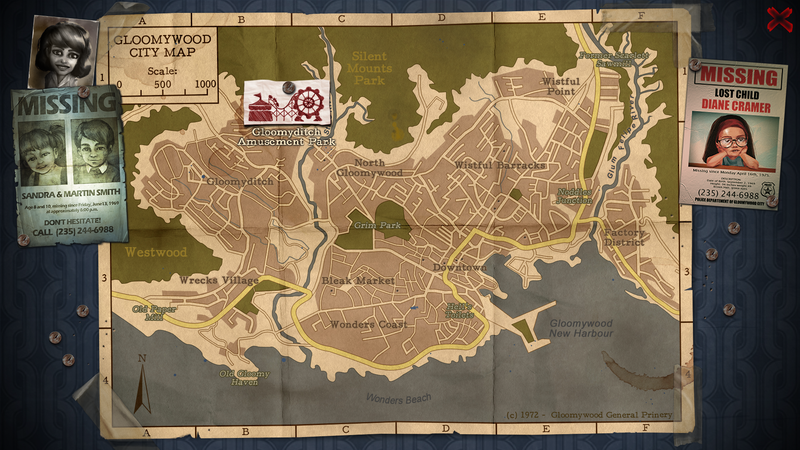 Think back to finding memos a la Silent Hill or really any other survival horror title. It’s not new, but there’s a lot of it in 2Dark. They’re small details, but the type of care that takes the game a little further than a simple puzzle adventure. The entire time I played 2Dark I kept thinking it reminded me of something else, but I couldn’t quite put my finger on it. As I weaved through corridors trying to avoid a creepy clown I realized: This game is evocative of Zombies Ate My Neighbors, the early 90s SNES game. Well, kind of. But that’s the best comparison I can make for those looking to understand 2Dark a bit more before taking the dive. It’s much darker, and you probably shouldn’t go in guns blazing, but the atmosphere and difficulty remind me so much of my childhood favorite. It’s got those sort-of cheesy horror tropes that I still enjoy, and you’re again saddled with rescuing some helpless individuals. The similarities are really what attract me to it. The only thing I’m missing is a cooperative mode, but really this is probably just served best as Mr. Smith’s story. Its retro art style also serves the same purpose. The top-down effect harkens back to my days navigating mazes in Zombies Ate My Neighbors, desperately trying to avoid men with chainsaws and werewolves. It’s a little more complicated in 2Dark though, as you can’t just unload on every enemy you see like in ZAMN. The darkness was certainly my friend, and more often than not my approach to navigating the demo was keeping the flashlight off and slowly creeping along in the dark. 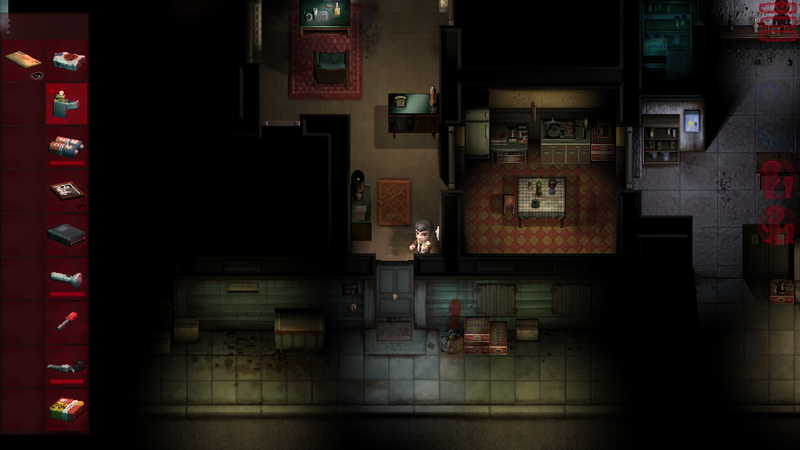 2Dark is pitched as a game where “not everything is as it seems.” And that’s true. For a straight run through, the demo should have taken two hours. But I went back to the circus level and spent about another hour there only to find I had missed some details. What’s cool about 2Dark is that there’s really no right or wrong way to approach your rescue mission, you’re given freedom. I realized I could have certainly taken some alternate roots in my first run to make things easier, but the trial and error aspect make it unique. We’re often told in games you have that freedom, but in reality there’s an obvious route you should take and every other approach makes little or no sense. That’s just not the case in every instance here. 2Dark also boasts this idea that it’s just throwing you in. There aren’t long winded tutorials about which items combine with which or how you should tackle every stealth situation. But the game does still tell you how to play in the very beginning, so pay close attention to those starter areas. It was small touches in places like the circus, where I realized outside you could knock things over and cause some dangerous attention to Mr. Smith. No one was around, so I was safe, but 2Dark implements the bothersome tutorials of the past in a more organic fashion. Then there were my few issues with the game, though. I interacted with things I thought I was clear of several times, and that extra attention often meant death for Mr. Smith. Perhaps more jarring was that Mr. Smith could attack or kill children. I understand that death is a central theme of the game, but there’s some dissonance in the idea that this man searching for his children would actually harm a child. That’s a concept better left to the violent clowns hiding in the dark. Regardless, my time with 2Dark was everything I hoped for going in. Gloomywood really seems to be everything its developers have promised us. Going into March, 2Dark is certainly on my radar. Now it’s just the waiting game to see if it makes the launch window.